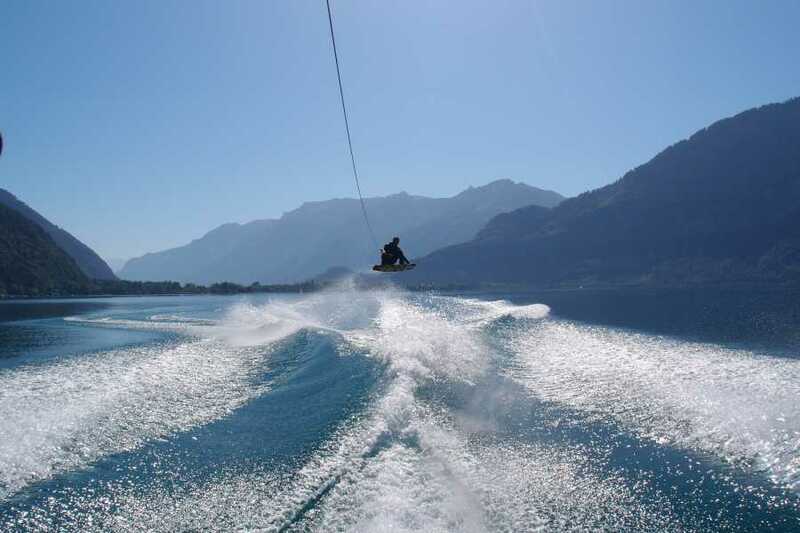 First into the air and then to the lake or vice versa. 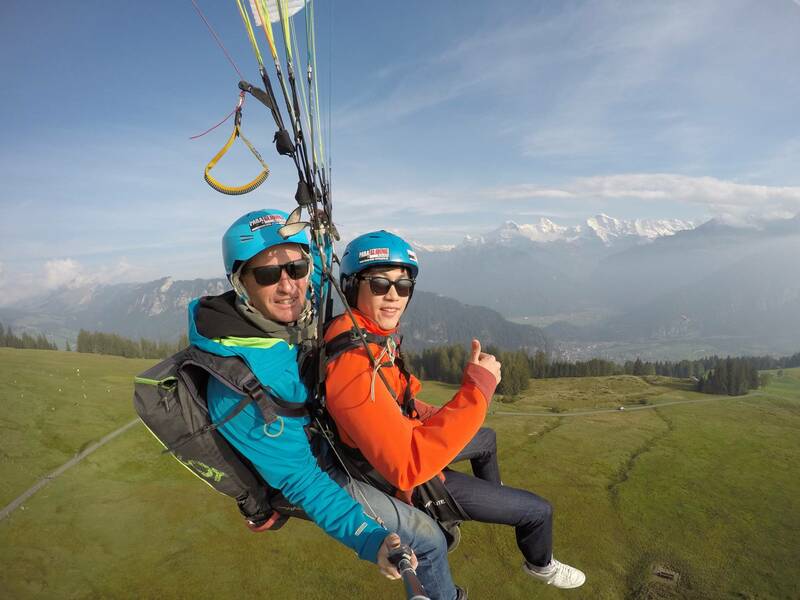 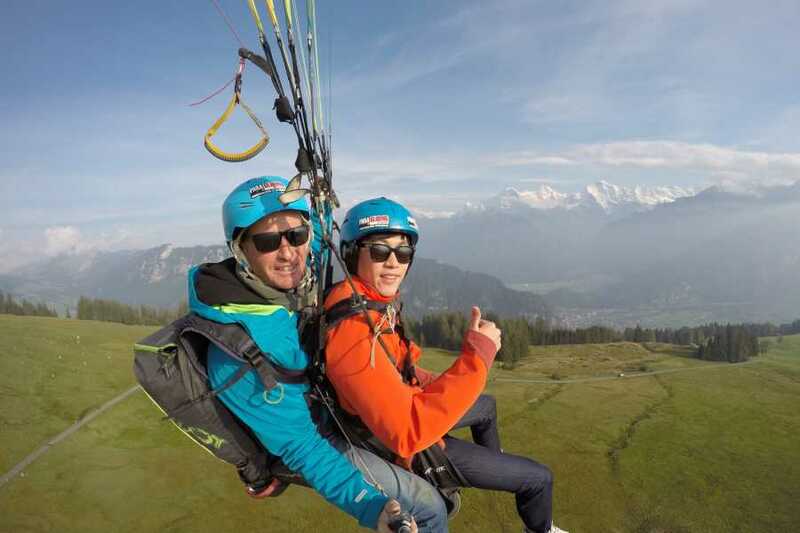 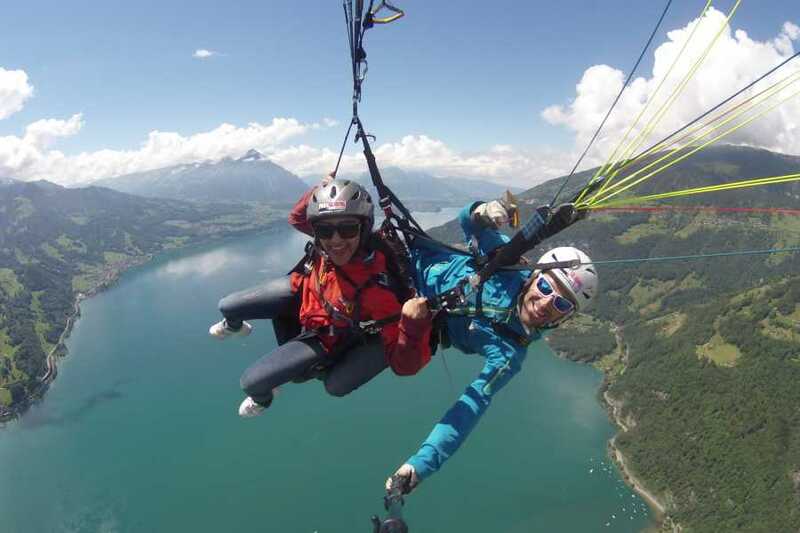 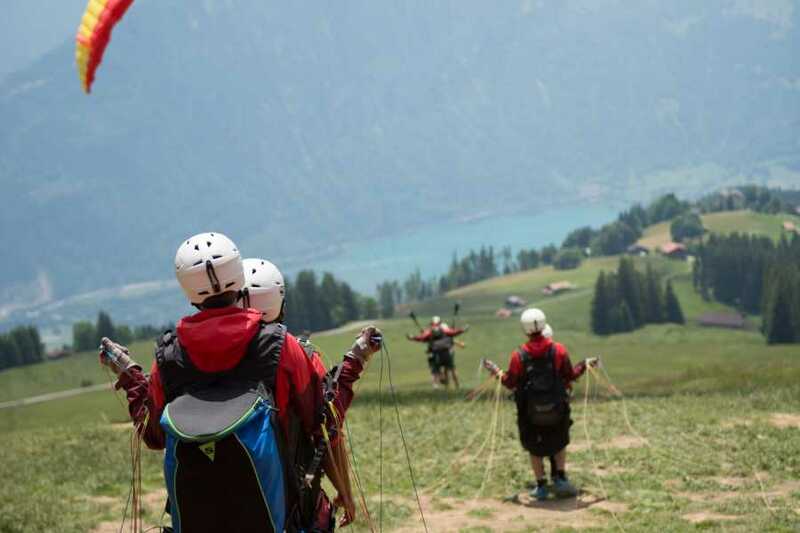 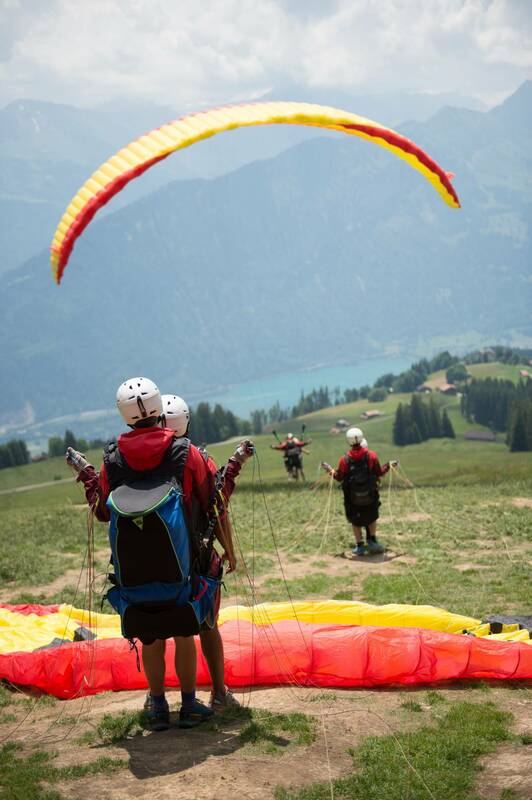 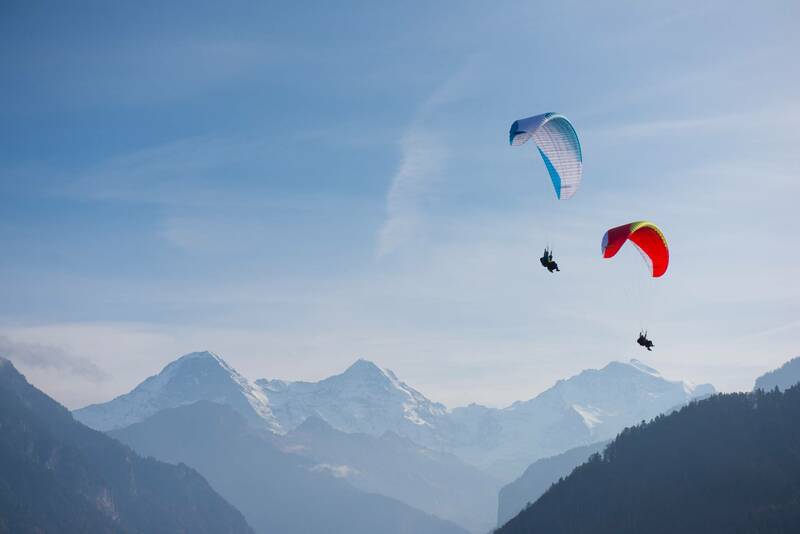 Enjoy a unique tandem flight over Interlaken with view to the Jungfrau massif and the wonderful mountain lakes. 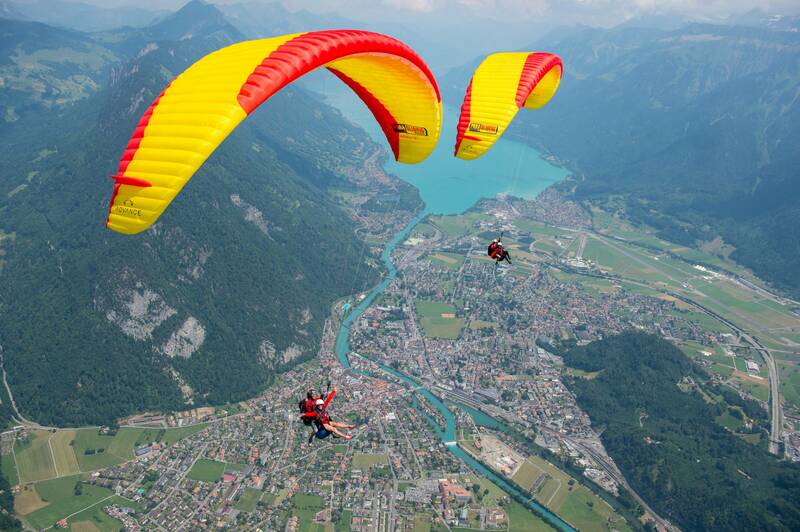 The landing is in the centre of Interlaken at Höhematte. 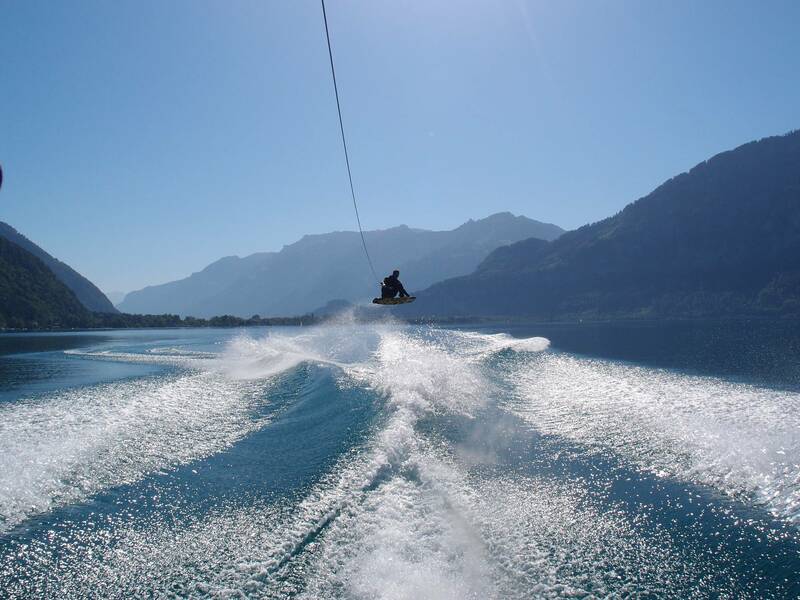 After or prior to the flight you can prove yourself behind the boat at Lake Thun. 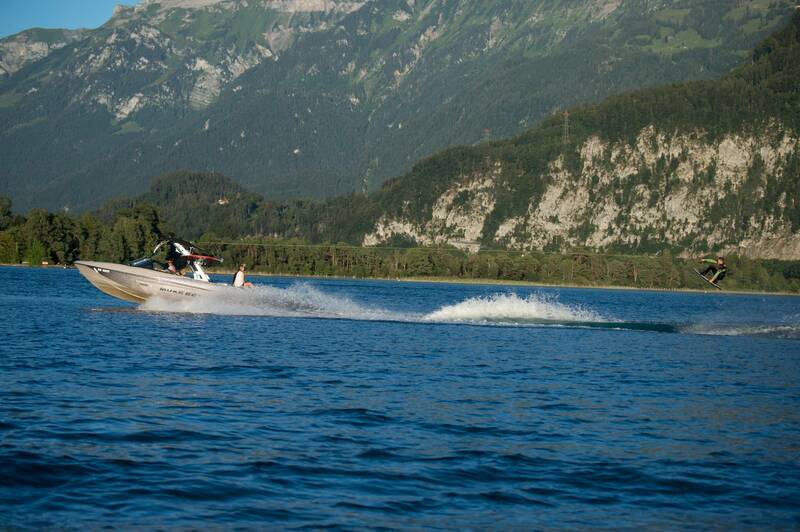 Whether wakeboarding, wakesurfing or water skiing: The new Malibu boat will let your heart beat faster. 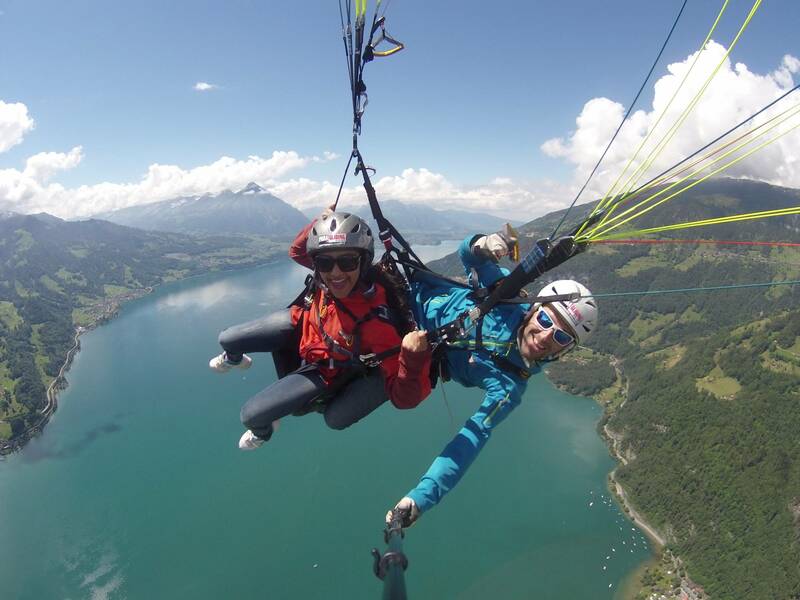 Jump into the turquoise water and enjoy the unique mountain landscape of the Bernese Oberland during your run. 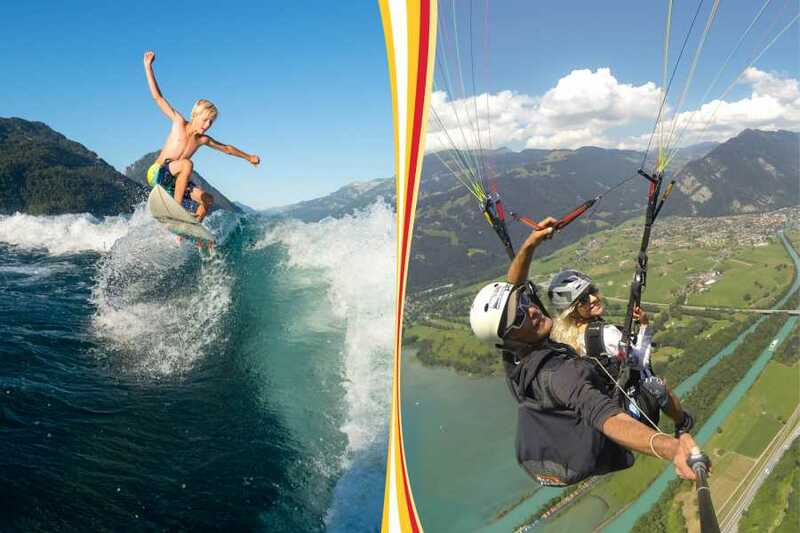 Attention: This package can only be booked with at least 2 participants! The transportation to the lake is not included.